The success of Take Two Interactive’s (TTWO) Grand Theft Auto V, has been well documented and is certainly not taking anyone by surprise at this point. What is a surprise is that just weeks after GTA V shattered just about every record pertaining to an entertainment product release, TTWO appears to be trading at a discount with shares down 12.5% in the past month and a half. With sales of their latest blockbuster easily outpacing analyst expectations, GTA Online not being included in most estimates and the successful launch of NBA 2K14 this month, I expect TTWO’s numbers to come in significantly better than what the street is currently anticipating when their Q2 release comes out on the 29th. Doug Kreutz of Cowen & Company recently upped his price target on TTWO and called for first-year sales of 25 million copies of Grand Theft Auto V after it was reported that the $1 billion sales mark had been crossed in just three days. In a not released to investors earlier in the year, Sterne Agee’s Arvind Bhatia outlined a hypothetical profitability model for GTA V based on an estimated development cost of $137.5 million for the game and a marketing spend in the range of $69- $109.3 million. Bhatia estimated that if GTA V sold only 15 million copies it would translate to operating profit of $193.6 million for the game and would contribute $2.11 to earnings per share. He went on to estimate that should GTA V sell 25 million copies in its first year, operating profit for the game would be $390.8 million or an earnings per share contribution of $4.26. It is worth noting that GTA Online and its contribution to GTA V’s profitability has not been accounted for in Bhatia’s analysis, a number that I believe will be significant with $200 million in revenue expected to be generating in its first year through microtransactions and a free-to-play model. 25 Million Copies Sold In One Month? Fortunately for us, it is very easy to get a good idea of just how many copies have sold thus far without waiting for Take Two to put out a press release announcing they’ve reached another sales milestone . VGChartz.com publishes weekly sales analysis covering the entire console gaming market, with their most recent report released yesterday covering sales up to the week ended October 5th. From 9/29- 10/5 1,080,086 copies were sold for PS3 and 951,537 copies on XBox, a total of 2,031,623 units moved for the week. That brings total copies sold as of October 5th, less than 3 full weeks from its release date, up to 22,629,833. Considering 2 million copies were sold in the most recently reported week, and 3 million in the week prior, we expect sales will continue to gradually decline but will remain meaningful. Sales will see a boost this week however as the game was just released in Japan and Brazil on October 10th. It would be reasonable to expect that another 1.5-2 million units have been sold in US/ Europe in the 10 days since the last sales report and 500,000 in Japan/ Brazil, putting Grand Theft Auto 5 at 25 million copies sold in its first month, a number analysts were looking for over the course of its first year on the shelves. 25 million copies sold would translate to $625- $650 million in revenue for TTWO from Grand Theft Auto V. Its been reported that between production and marketing costs Take Two spent $265 million on GTA V, yielding a profit of $360- $385 million. Even if we assume GTA V has already sold 70% of the total copies it will sell for the year in its first month, a high number to assume with the holiday season upcoming and a PC version reportedly expected in Q1 2014 (not to mention the potential for a release on PS4 and Xbox One to add to sales), 10.7 million more copies sold would account for the remaining 30% over the course of GTA V’s first year. That would bring the total profit contribution from Grand Theft Auto V in its first year to $628-$662 million. To put that number in perspective consider TTWO has an enterprise value of only $1.4 billion. 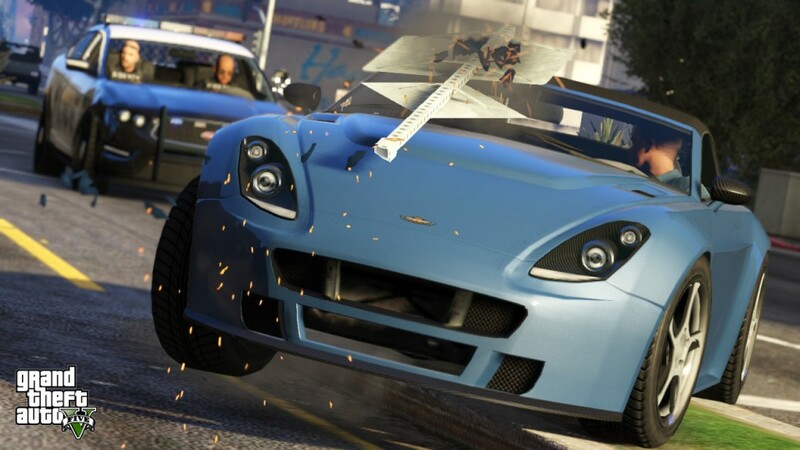 Some analysts have also stated they expect $200 million in digital sales in the first year from the multiplayer component of their blockbuster, GTA Online. The margins on this revenue should be quite high as they are merely selling in-game cash that players can use to purchase cars, weapons, and other items to use while playing online. This number is expected to reach at least $500 million over the lifetime of the game. The most common criticism of Take Two Interactive and what appears to be the current market sentiment, is that they are too reliant on the Grand Theft Auto franchise. It is true that TTWO is reliant upon producing blockbuster games with installments coming only once every few years, while Electronic Arts (EA) and Activision (ATVI) have annual releases of their key franchises. Yet they don’t shy away from this fact, they believe in building blockbuster franchises, taking their time to ensure the end product is up to their standards, and building out brands/ intellectual property that has long-term value. Just this month they released their annual installment of NBA 2K14 which has been met by stellar reviews. Last year’s edition sold over 5 million units and the franchise is their most reliable annual revenue source. They also picked up the rights to the WWE franchise from THQ, THQ’s version last year sold 2 million copies. BioShock Inifinite, released early this year and selling over 4 million copies thus far, is the third installment in a franchise that has also proven to have staying power and be a consistent seller. 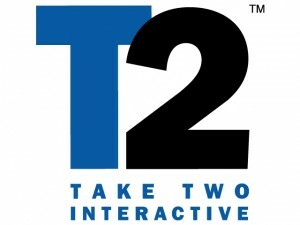 Throw in the Borderlands and Max Payne franchises and Red Dead Redemption (13 million copies sold), and it is clear Take Two has built a valuable portfolio of brands that have amassed loyal fans, making this company more than just a Grand Theft Auto story regardless of the outsized returns that is generated from that one source. It is an exciting time for the video game industry right now. Grand Theft Auto V has shattered nearly every record there is in the industry within a month of being released, the next Call of Duty franchise is coming in a few weeks, and both the Playstation 4 and Xbox One are slated to be released in November. While the dynamics of the industry have certainly changed over the past few years, we have seen the potential of digital distribution, downloadable add-ons, and free to play models with in-game currencies. With an installed base of players sure to exceed 30 million players for Grand Theft Auto V alone, Take Two is positioning themselves to take advantage of the shift to digital distribution and monetization of social worlds in games. Within 3-5 years all distribution in the industry could be digital, while certainly an alarming thought for GameSpot (GME), it could be a windfall for publisher’s and their margins as well as boost revenues through the added ease of purchase created for consumers. I expect Take Two to blow out estimates when they report results on October 29th on the back of Grand Theft Auto sales for the first month meeting their expectations for the year. The consensus estimate is looking for earnings of $1.55 per share for the quarter. With 22.6 million copies sold by October 5th, it seems reasonable to assume 21 million copies were sold in the first two weeks of the games release which were the last two weeks of TTWO’s Q2. This total easily surpasses the consensus estimates, I expect earnings in the range of $2.30-$2.40 per share for Q2 and a rosy outlook for the rest of the year on the continued strength of Grand Theft Auto V through the holiday season and the releases of NBA 2K14 and WWE 2K13. The lack of any future visibility regarding Take Two’s pipeline of games is contributing to their current undervaluation in my opinion, but expect management to offer some sort of plan for the future leveraging the strength of their portfolio of brands and proven franchises. With the windfall of cash that will be added to the company’s coffers through GTA V sales, a share buyback or other means of returning capital to shareholders becomes a distinct possibility. 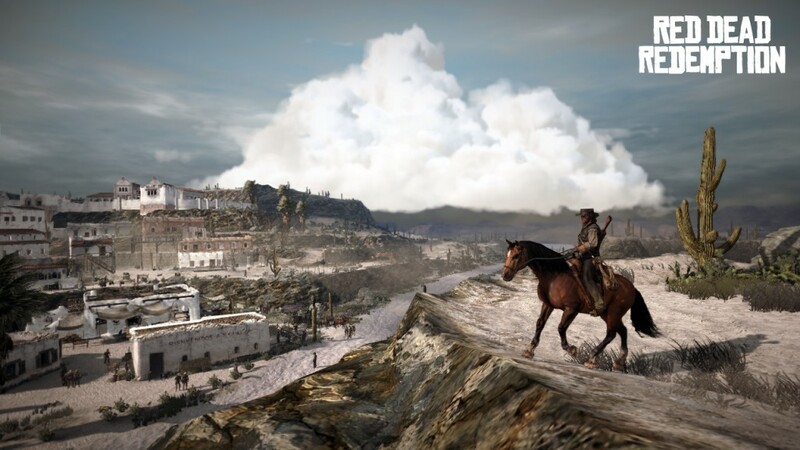 After bidding shares up for months leading up to GTA’s release, investors have taken a pessimistic view of TTWO despite sales of their hit game easily outpacing the street’s already lofty expectations. Look for the Q2 conference call in two weeks to shore up concerns about the pipeline and present numbers far exceeding expectations, with Grand Theft Auto V poised to contribute over $600 million in earnings in its first year. The future is bright for Take Two and the industry as a whole with the next console cycle about to begin, and innovations in digital distribution and online gaming continuously offering new opportunities. I believe fair value for TTWO equity is $24-$26 per share. An important question is whether or not the 137 million development cost is going to show up in its fiscal 2014 annual report. If you look at it’s 2013 annual report there is development and administration cost under operating expenses, I’m hopefully assuming that because of development or administration cost are shared over five years the earnings for fiscal 2014 should be approximately 400-500 million and the total stock holder equity should be around 1 billion. This gives an earnings per share of 5.4, and a projected future price to book value of 1.6. This is based on a bullish estimate of sales including the potential 10 million copies through GTA V for the PC before end of fiscal 2014, the continued sales of GTA V passed 22 million copies is not taken into consideration. With a decrease in first week sales of 35 percent of NBA2k14 from NBA2k13, we can only guess that it can barely break even atleast for second quarter 2014 but there should be more optimism for the new xbox and ps release for Ttwo’s 2014 product lines. The research and development costs should have already been accounted for. The marketing spend is a different story though. I agree that the PC release will be a boost, but I would put a cap on the potential sales there closer to 2-3 million than 10 million.